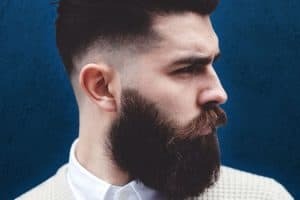 Clifford Grodd, the former president of American clothing retailer Paul Stuart, once said: “I abhor dullness and resist flamboyance.” This opinion is one that will strike a chord with many Italian men, who tread the line between expressionism and refinement. Certainly, most lean towards ‘more is more’, but that should not be mistaken for a self-absorbed display of superfluous extravagance. Instead, Italian style is distinctive in its appearance, defined by its silhouette and dedicated to achieving sprezzatura – rendering it the envy of the menswear community. In this article, I will briefly detail the influence Italian style has on menswear, what inspires Italian style and provide ideas as to how you can replicate their balance of artful dishevelment. Italian style is much more eclectic than many people come to assume, with regional nuances adding variety and characterising local tastes. Italy is a vast country, and with an emphasis on style up and down the nation, a jovial battle emerges between different regions. For example, Roman and Neapolitan jackets are very different from each other. The silhouette in northern Italy tends to differ from its southern counterparts in its simplicity, with no extraneous details or spalla camicia (‘shirt shoulder’ to you and me) in the former. By contrast, a signature of Neapolitan jackets is their waterfall or ‘shirt sleeve’, which is different to the soft shoulder by way of the sleeve head (wider) fitting into the shoulder (narrower). More generally, Italian suits are usually constructed with a higher gorge – the seam that connects the jacket’s collar to the lapel – than their British counterparts. Neapolitan and Sicilian tailors make the gorge higher still; a discrete but defining touch that makes their garments instantly recognisable. Many words have been written about the household names of Italy, but what about those labels that embody Italian style somewhat under the radar? Four of my favourite labels that have a kinder price point, whilst retaining a wholly Italian elegance are: Boglioli, Esemplare, Camo and Mr Rick Tailor. The latter produces gorgeous, fitted jackets for an affordable price, with beautiful Italian nuances such as contrasting under-collars and breast pocket inner-linings. As with all Italian tailoring, construction takes precedence over style, and Mr Rick Tailor’s tapered seams and high armholes prove just that. 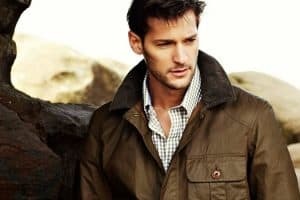 Boglioli are known as one of the best, if not THE best, off-the-rack makers of unstructured cotton jackets in the world. The quality of the materials means that the drapes of the jackets are beautiful, engulfing you in luxury fit for Berlusconi himself. Accordingly, the price point is a little higher. More youthful vibes are found in the lookbooks of Esemplare and Camo, both of whom integrate technical aspects to their stellar line of tailoring. One of Camo’s signature pieces are trousers with a high waist and relaxed silhouette. Much is made of sprezzatura and its eminence among Italian men, and rightly so. The art of sprezzatura, commonly defined as “a certain nonchalance, so as to conceal all art and make whatever one does or say appear to be without effort and almost without any thought about it”, relies on attention to detail. Dedicating time to think and experiment with outfit ideas is the key to looking stylish without any apparent effort. Just as important is the careful selection of elements or ‘rules of styles’ to be broken, so as to conceal your unruly antics. As Matt Allinson has referenced, there is a difference between knowing the rules and breaking them, and not knowing the rules and breaking them. The former often signifies a well dressed man, as the rules are broken in good taste and for good reason. Therefore a thorough knowledge of your body type, personality, skin colour and current location is paramount in attaining true style. For example, a soft canvassed Neapolitan jacket may look tempting but if you have a big chest and round shoulders, the fit can make you look more like a gorilla than a handsome, stylish gent. A similar problem is found for those who try to replicate Italian style, but end up looking unoriginal and/or gimmicky. I am thinking of a tie over a jumper, a watch over a shirt cuff or even sporting a tie pin, boutonnière and pocket square all at once. The art of not looking too ‘try hard’ is embedded in Italian style. Confidence is imperative in relaying to others that you are comfortable in your clothes. Entertain a simple equation: the more flamboyant the attire of x is, the more confident x has to be. Therefore, that panache you are trying to exude should be made with the removal of your ego, a smile and willingness to make mistakes. Such authentic motives are of far more importance than whether you should lose the laces or not, and make for a wonderful display of rakish charm that befits the Italian male. Images collated from some of the best street style websites on the internet, including: The Sartorialist, Guerreisms and Tommy Ton. Dressing down the formality of business attire is second nature to the Italians. Pinstripe suits are often considered very formal, but the soft shouldered, single button jacket below exhibits a loucheness that makes work seem less strenuous. The Oxford button-down shirt is an element of this outfit that, at first, looks out of place. However, with a sartorial tweak of leaving the collar unbuttoned, the impression is of a soft-collared business appropriate shirt. An elegant wool and silk knitted tie brings the look up a notch, with its intricacy adding valuable style points. Orange and navy complement each other beautifully, and an elaborate, orange dominant handkerchief has a rakish quality that is of paramount importance in this business-casual look. This more casual outfit focuses on separates, which is a prominent look among the Italian contingent – the balance of work and play proving irresistible. A linen or lightweight cotton blazer is appropriate for the warmer months, and you can dress it down with an on trend mid blue/teal t-shirt, preferably in a v-neck. A shirt, suitably unbuttoned, is the smarter alternative. White trousers are a staple for the Italian male. In this instance, they are not used to anchor bolder colours but simply to reinforce a summer aesthetic. Playing a tonal game, a mid blue belt provides a subtle yet eye-catching accent – try moving the buckle askew or wrapping it around itself, as this will help to individualise the look. A boutonniere provides a small dash of colour and personality that speaks volumes of the person wearing it. Its size, colour and thus its role in the outfit below all giving an impression that befits the character. That said, if you’re confident and willing, ignore my feeble tonal talk and whack a crazy tie in your breast pocket because, you know, it’s the weekend and where else are you meant to put your favourite tie? The Italians have a sense of style that bears great resemblance to their country’s famous landmarks, which demand attention for their visual power and elegance. Crucially, however, it appears devoid of the decay of time. There is nothing transient about Italian style, which is a result of a generational appreciation of the immortal fundamentals of style: fit, cut and colour. Therefore, Italian style is one that men of all dispositions can garner inspiration from, bringing the best of Europe to our shores. Are Italian men among the most stylish on the planet? What aspects of Italian style do you like to integrate into your own look? What is your favourite way to add a touch of sprezzatura to your outfits? What other countries are deserving of their own style breakdown?